doh, now it wants me to log in, so I'm off to bed. The bear things are pre-printed freebies. 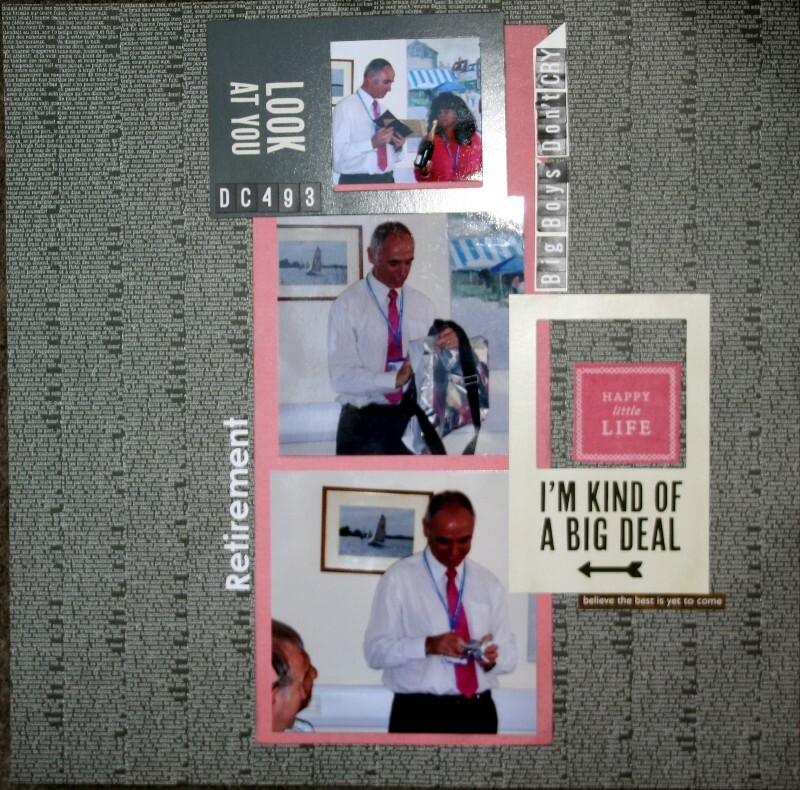 Lovely, I like the retirement layout - the different wording is great. Love them all, but that rose card is fabulous. great layouts and cards, love the paper on the second layout. Smashing stuff. Liking the Mick layout and did you take that pic of the rose? 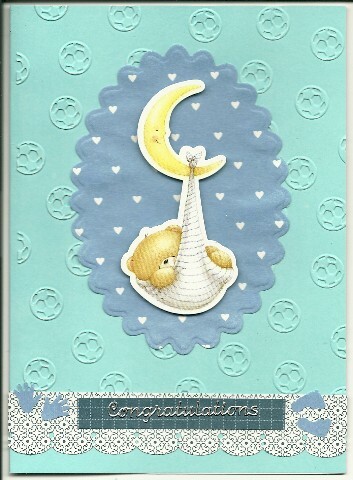 Cute baby cards and love the rose Karelyn, like the LO's too. Ha, ha. Not quite, lol. 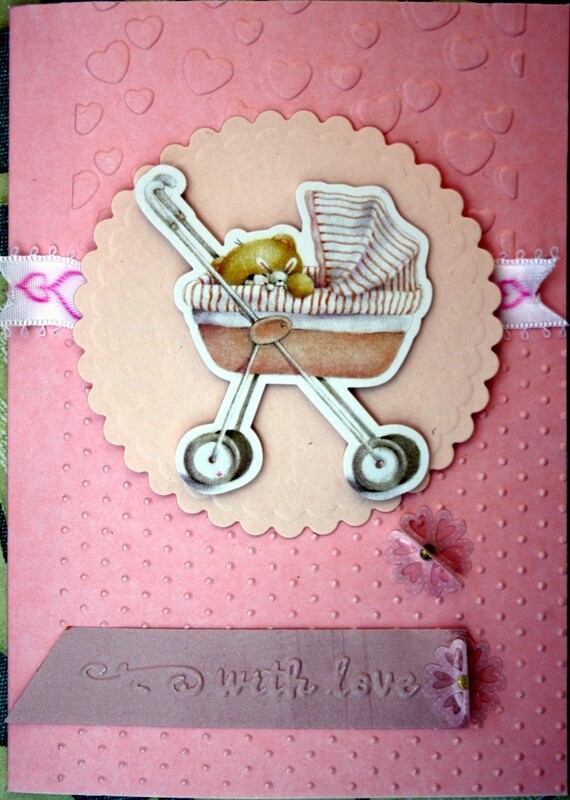 lovely stuff Karelyn, I lvoe that rouge de garance paper but cant really bear to use it ever, so well done. 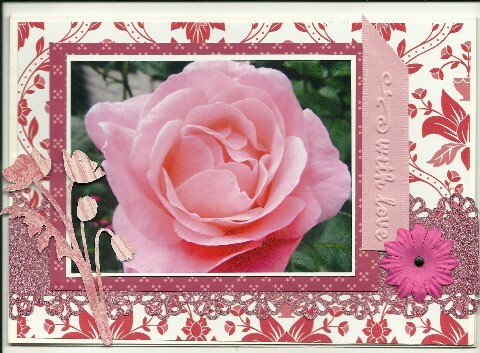 Maria wrote: lovely stuff Karelyn, I love that rouge de garance paper but cant really bear to use it ever, so well done. Well as you can see I've had it for er...5 years? Could be more, I have another couple of different sheets, as you say, it's soo lovely. Seemed to be just what I wanted here to show the contrast between heat and the cool green woods, not sure if it's worked but hey.